Naturally, an article like this wouldn’t be complete without recommending that any PC user should have up to date up to date anti-malware software. Emsisoft is proud to have a high percentage of senior users, and we frequently hear that seniors find our anti-malware easy to install and manage. Did Albert ever learn to use his tablet, or did he give it to charity? The author is pleased to report that Albert is getting past his aversion to his tablet. His caregiver recently enrolled him in a free programme called ‘Senior Net’ which teaches seniors to work with technology. 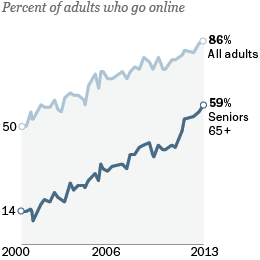 Gradually, the digital divide is being bridged. Who knows, father and son may soon be sharing stories online – anything is possible! 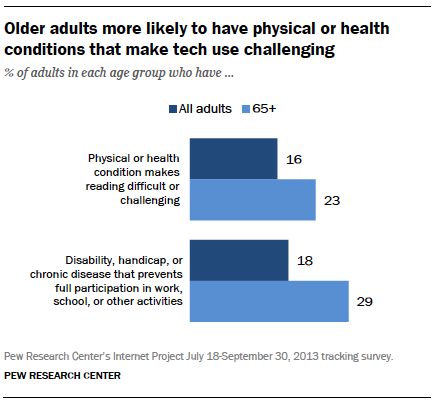 Don’t let age become a barrier to seniors participating in the online world. If you’re a computer-savvy person reading this, you could consider setting up a PC for a senior family member, client or friend. When you do this, consider setting up high quality, easy to use anti-malware software right from the start. This will keep seniors safe from harm and ensures that can confidently explore the online world, and perhaps even enjoy an enriched social life!